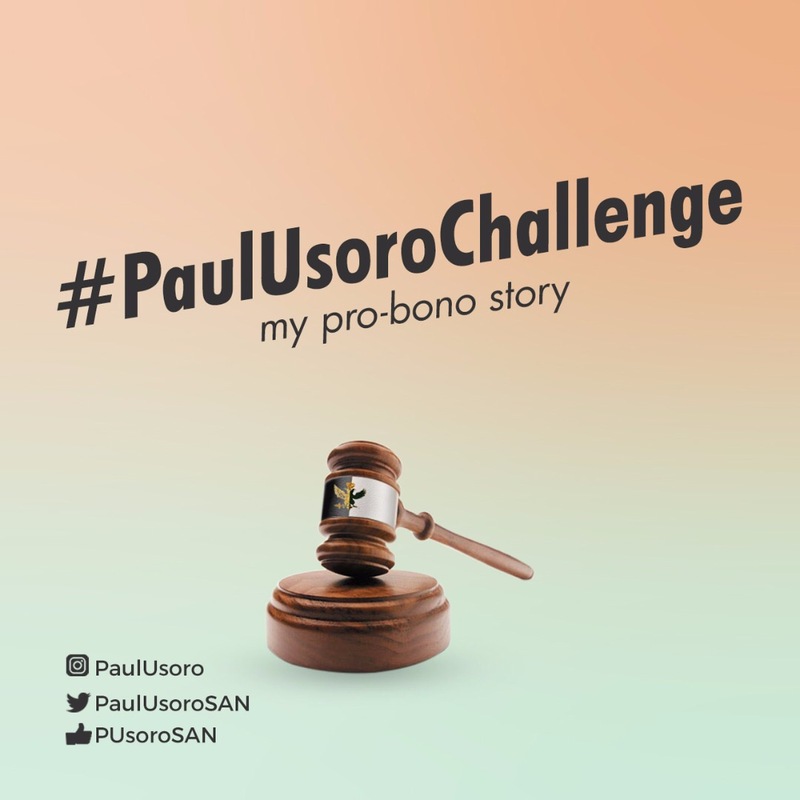 Share a touching Pro-Bono story on a case you have “handled” via a short Instagram video using #PaulUsoroChallenge as the hashtag on the video and you stand a chance to be a part of the 6 outstanding heroes who will win 100k each. 1. Put up a creative short video across social media (Max 2mins) using the HashTag –#PaulUsoroChallenge stating why your Pro-Bono case deserves the N100,000 prize money. · The competition begins officially on Friday the 27th of October, 2017 and will officially close on 10th of November 2017. · There will be extra points for gender related cases, child abuse & humanitarian matters. · The best entries will be decided by a team of Lawyers/influencers. The most compelling and emotional entries will be decided via engagement. · Entries will be selected on zonal basis (6 geographical zones). 1 winner per zone; for outstanding Pro- Bono cases rendered. · All entries are subject to verifications. · Past and present PUC lawyers are not allowed to be a part of the challenge as neither PUC nor Paul Usoro will influence the selection process.